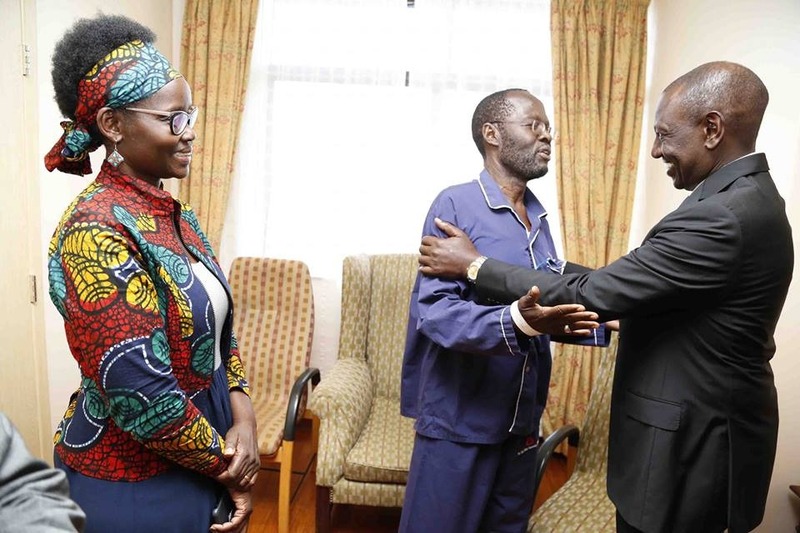 Kisumu Governor Anyang’ Nyong’o was discharged from the Aga Khan hospital, Nairobi on Thursday, after being flown from Kisumu for further treatment. Governor Nyong’o fell ill on Saturday while attending the installation ceremony of Kisumu Archbishop, Philip Anyolo. He excused himself from the ceremony to seek treatment after he reportedly started feeling uncomfortable and dizzy. He was admitted at the Aga Khan hospital in Kisumu before being flown to Nairobi. Various leaders visited him in hospital on Wednesday to see how he was fairing on. These include ODM leader Raila Odinga, Deputy President William Ruto, Council of Governors chairman and Wycliffe Oparanya (Kakamega) and his deputy chairman Mwangi Wa Iria (Muranga), Kisumu Deputy Governor Mathews Owili and Alego-Usonga MP Samuel Atandi among others. “Paid Kisumu Governor Anyang’ Nyong’o a hospital visit. Pleased that he is responding well to treatment and wished him a speedy and full recovery,” DP Ruto said. Governor Nyong’o was not able to attend the Council of Governors meeting on Monday where they elected new officials. Doctors say that he is recovering well.